Before you hit the car yards, ensure you know your rights. Several of my friends and family members have recently bought cars, myself included. We’ve been fortunate to have avoided any major dramas with the dealers or private sellers. We’ve also been in positions where we haven’t had to rely on any finance deals – (thanks, Mum). But many car buyers aren’t so lucky. This month, Christchurch motor vehicle lender Dealer Finance reached a settlement with the Commerce Commission to repay at least $440,000 overcharged on about 5800 loans since 2005. When borrowers made accelerated or lump sum payments, they weren’t being credited to their loans as soon as practicable and they were being charged interest on incorrect outstanding balances. This was a breach of the Credit Contracts and Consumer Finance Act 2003. Without the eagle eye of a customer, this may well have gone overlooked. At Consumer our advisers often hear from members who’ve encountered problems with motor vehicle dealers claiming that if a customer didn’t buy the extra warranty, they’re out of luck with any problems that might arise. Not true. The Consumer Guarantees Act (CGA) protects consumers in this instance. We’ve developed a helpful guide so you know what to look for when buying a car. General inspection – use our car inspection checklist. The car should be in a well-lit area, clean and dry, so you don’t miss defects. Test drive – take it for a drive for about half an hour and include some driving at open road speeds, and some hill work for checking gears and brakes. Mechanical inspection – if you pay a specialist inspection service or your own mechanic, they’re required under the CGA to do the job to a reasonable standard. 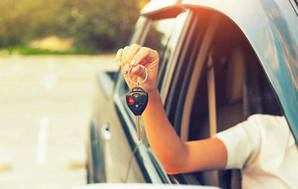 A pre-purchase inspection will cost up to $120; not much to spend as part of the total cost of a vehicle. Whatever work the dealer agrees to do, get it in writing before you sign up or pay anything, even a deposit. Paperwork – there’s a lot of documentation you shouldn’t overlook; warrant of fitness, consumer information notice (CIN), certificate of registration, outstanding debts, sale agreement, change of ownership. Our checklist has the details. Finance – dealer finance can be more expensive than a bank. If you’re a home owner, you might want to consider extending your mortgage. With any loan offer, check the time to repay, repayment amounts and the total cost of credit over the term of the loan. All lenders must provide this information to you. If the deal is interest-free, check for extra fees and that the asking price hasn’t been inflated. And if the wheels fall off the deal and you and the dealer can’t come to an agreement on how to fix things, you have the option of taking a claim to the Motor Vehicle Disputes Tribunal (MVDT), or the regular Disputes Tribunal if you bought from a private seller. So, happy motoring. I’m off to take my Mum for a drive in my – okay, partially her – new car. This article was originally written for Stuff. Kate Sluka has a background in market research specialising in finance sector and customer satisfaction research. She sees her role as finance writer as a continuation of presenting a consumer viewpoint, and helping to increase financial literacy. She often covets the “toys” the technology writers get to play with. Should you buy new or used? What should you look out for when buying from a dealer, and what are you rights? We’ve tackled the big questions around buying and owning a car, plus looked at which car makes and models are most reliable.